Ayr is a fine seaside town with a good town centre and a two mile stretch of sandy beach. It also has a racecourse where the Scottish Grand National is run every year. Scotland’s greatest poet, Robbie Burns was born close to Ayr at Alloway where he lived for the first seven years of his life. There is an interesting museum maintained by the Scottish National Trust. Dumfries is the county town of Dumfries and Galloway and was named as Queen of the South by a local poet called David Dunbar. 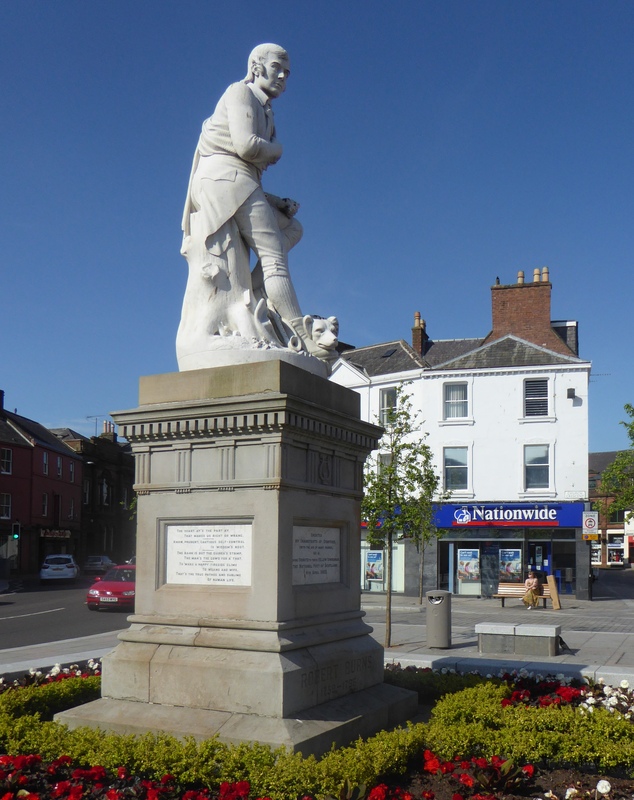 The famous Scottish poet Robbie burns spent the last few years of his life in Dumfries and there is a statue of him in the Main Street. He had spent most of the money he had made from his poetry, so he came to Dumfries to work as an Excise Officer. The house wher he lived is now a museum.